2 layer board of 2.84 x 1.50 inches (72.1 x 38.1 mm). Uploaded: June 16th, 2015 21:31. 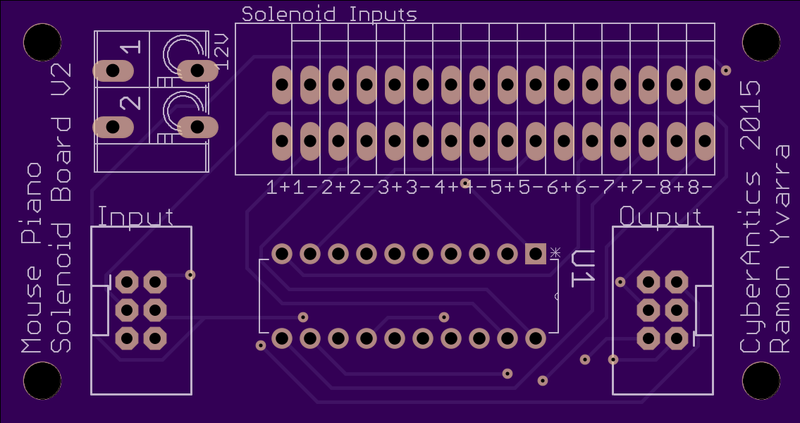 Second version of the solenoid controller board for the Mouse Piano platform. Fixes a missing trace from V1, and reoriented connectors.